There is so much to love about South America. Read on to learn more about the regions of South America. We know it won’t be long before you too will fall in love..
First of all is the legendary Peru is perfect for the traveller wanting to see fascinating cultures and well preserved relics from ancient civilisations. Endowed with history as well as beauty and boasting UNESCO World Heritage Sites, Peru is sure to enchant. Explore the enigmatic lost city of the Incas, ‘Machu Picchu’, perched high in the Andes mountains. 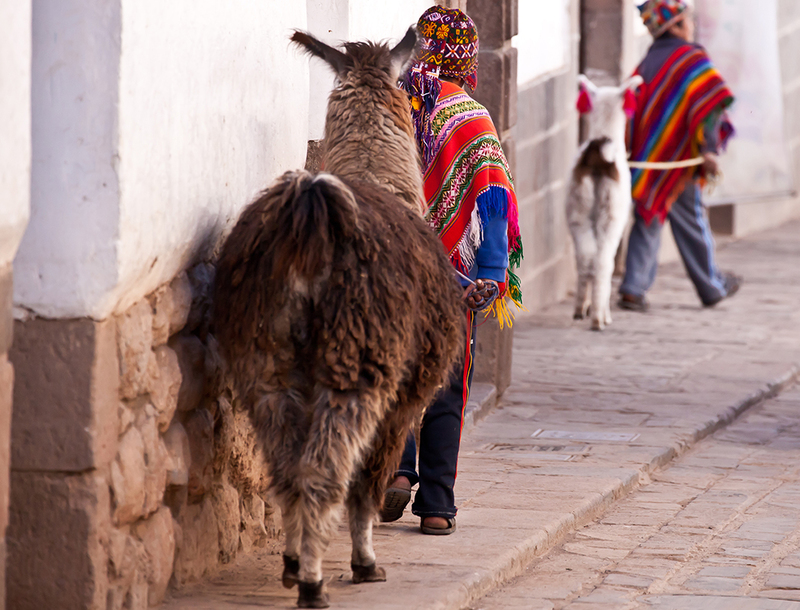 Hike the classic Inca Trail, be enchanted by the the cobbled streets, colourful markets and great museums of Cusco. Take a train across the altiplano landscapes to the shores of Lake Titicaca, discover the mysterious Nazca Lines and hike the deep valleys at Colca Canyon. Indulge in a culinary adventure in Lima, the hottest gastronomic city in Peru. Visit the pristine Amazon rainforest where you can choose from remote jungle lodges or cruising on small luxurious expedition vessels. Vibrant cultures abide within a country bursting with a variety of memorable travel experiences. Bolivia is an expansive, landlocked plateau of barren plains, lush jungle as well as fertile highland valleys. From the high Andes to the Amazon Basin. With a fascinating history and captivating scenery, Bolivia will be sure to excite. The dramatic geography offers many adventures. Take a boat trip on Lake Titicaca, the world’s highest navigable lake, explore the bustling Witches Market in La Paz, witness a sunrise over the surreal landscape of Salar de Uyuni or stroll through the enchanting colonial town of Sucre and UNESCO World Heritage City of Potosi. There is also the opportunity to track wildlife in the remote Amazon basin. Bolivia has the largest indigenous population of any country in South America. The majority of this population still maintain their traditional culture and beliefs, making this one of the most fascinating countries to visit. Chile is a country of startling contrasts and extreme beauty, with a range of geographical attractions. Stretching long and thin while extending between the high Andes and Pacific Ocean, Chile covers a vastly diverse array of terrain. It is home to some of the world’s most spectacular scenery as well as offering a unique combination of beautiful wine regions, diverse cultures, stunning landscapes and adventure. Experience the vibrant capital of Chile, Santiago, see the port town and UNESCO World Heritage site of Valparaiso. Indulge in the rich wine regions of the central valley as well as the spectacular lunar landscapes of the Atacama Desert. Be inspired by the Lakes District, the mysterious Moai Statues on Easter Island and the huge granite spires and jade coloured lakes of Torres del Paine National Park in Patagonia. Chile truly offers something to captivate the imagination. Ecuador is the second smallest country in South America. Here you will find a collection of UNESCO World Heritage Sites including the colonial city of Quito, historical center of Cuenca and the ‘Galapagos Islands’. Ecuador offers astonishing wildlife, cone shaped volcanoes, picturesque colonial towns, vibrant markets, the rich biodiversity of the Amazon Basin as well as Highland Cloud forests. The cultural mix of the Spanish culture and pre-Hispanic indigenous influences are best seen in the architecture and market places such as Quito, Cuenca and Otavalo. See giant tortoises, witness the exotic bluefooted booby or swim with playful seals in the Galapagos Islands. Taking a cruise in the archipelago is the best way to explore the Galapagos Islands. The Galapagos Islands lie in the Pacific Ocean 1,000km from the Ecuador mainland. The 19 islands and surrounding marine reserve are a UNESCO World Heritage Site and Biosphere Reserve. Cruising is therefore the best way to become acquainted with the islands. All the cruises offer a variety of activities including kayaking, snorkeling, swimming and excursions led by naturalist guides. The islands are a melting pot for wildlife enthusiasts offering many opportunities to walk amongst sea lions, land iguanas, giant tortoises, blue footed boobies, frigate birds and penguins. The weather from January to June is typically warmer but with some rain, July to December is cooler and drier. There are so many variations in Galapagos cruise itineraries, with each group of islands offering unique experiences. Between the Andes in the west and the Atlantic Ocean to the east, lies Argentina. There is so much diversity on offer including the natural wonders of Iguazu Falls, the majestic glaciers in Patagonia, the lunar landscapes of Salta, the vineyards of Mendoza and the blue lakes and snow-capped mountains of the lakes district. Learn to dance the Tango, trek through the Patagonia steppes, or stay on an estancia and live the life of a gaucho on horseback. Nestled between Brazil and Argentina, Uruguay travel offers travellers a range of experiences. Explore the busy urban centre of Montevideo and party in Punte de Este as well as enjoying the breathtaking beauty of Uruguay’s rural areas. In the gorgeous town of Colonia del Sacramento (a UNESCO World Heritage site), you will see cobbled streets and ruined forts. The pretty capital Montevideo has a fine harbour and impressive Art Deco buildings. Brazil is a land of natural beauty. It’s hard to know where to begin! See the white sandy beaches of the Atlantic coast and the pristine Amazonian rainforests. In addition to the wildlife rich Pantanal, see the mighty thunderous Iguassu Falls. Experience the colourful colonial towns of Paraty and Sao Luis, picturesque Rio de Janeiro and Salvador. Brazil is a rich mosaic of people and cultures and home to the famous Rio Carnival; which of course is the World’s greatest party! Colombia is a seductive country offering breathtaking landscapes, vibrant cities and an incredible warmth from the Colombian people. Colombia’s capital Bogota boasts history as well as beautiful architecture. Learn about the World’s best coffee in Pereira and see the national wax plant in Los Nevados National Park. Visit San Basilio de Palenque with its’ strong African musical traditions or get lost in the colourful and culturally rich city of Cartagena. Venezuela is a country of striking natural beauty as well as spectacular sights. Canaima National Park features incredible wildlife and is also gateway to the Angel Falls – the highest waterfall in the World. Experience the mountains of La Gran Sabana or Venezuela which offer a choice for the wildlife enthusiast; see the extensive plains of Los Llanos or stroll the pristine white sandy beaches of the archipelago of Los Roques. Mexico is a country that has a unique culture and history with beach areas located on the coast of the Gulf of Mexico and the Pacific Ocean. History buffs can step back to the days when the Mayans ruled Mexico by visiting the ruins of two Mayan cities in the Yucatan Peninsula – Tulum and Chichen Itza. Walk among the stone pyramids that were the burial monuments to some of Mexico’s earliest residents. Last but certainly not least, with its mix of Spanish and African roots, there is Cuba. Cuba happens to be the largest, least commercialised, and most exciting island in the Caribbean. It is also one of the world’s last bastions of communism with a fascinating modern history. Step into time-warped Cuba where you’ll find preserved towns with old American cars and friendly locals. Relax on the gorgeous sunny beaches to the distant rhythms of salsa and rumba. So what are you waiting for? There is so much to see, start planning your South American escape today.